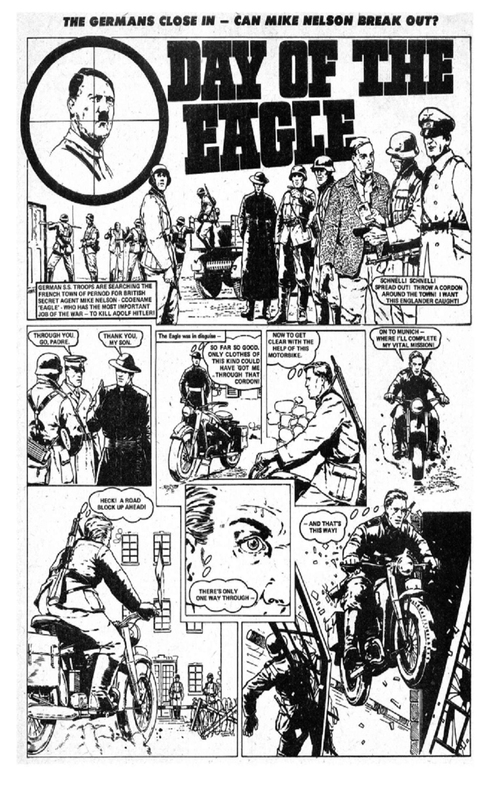 Printed in Issues No. 1 thru No. 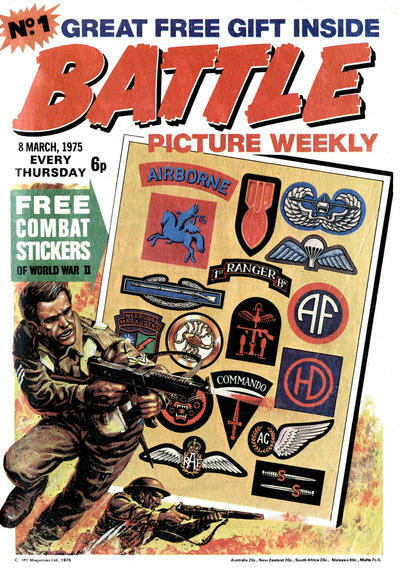 12 (12 issues) of Battle Picture Weekly. 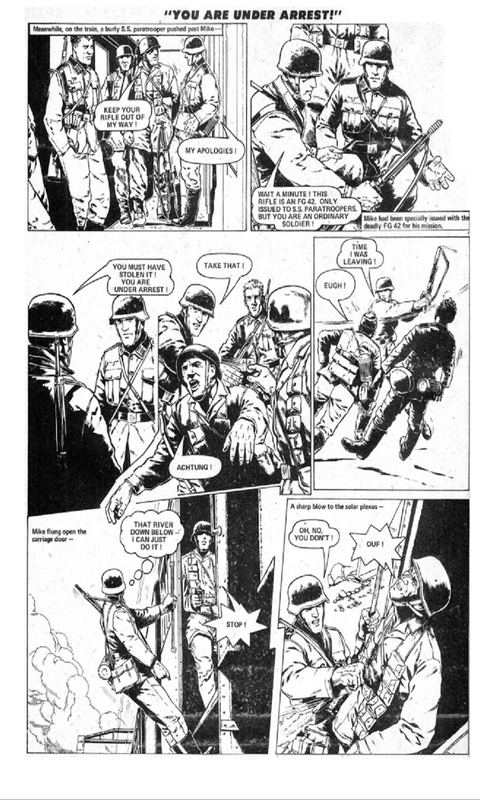 This comic story is set during World War II and it unfolded as follows; Episode 1-1 (No. 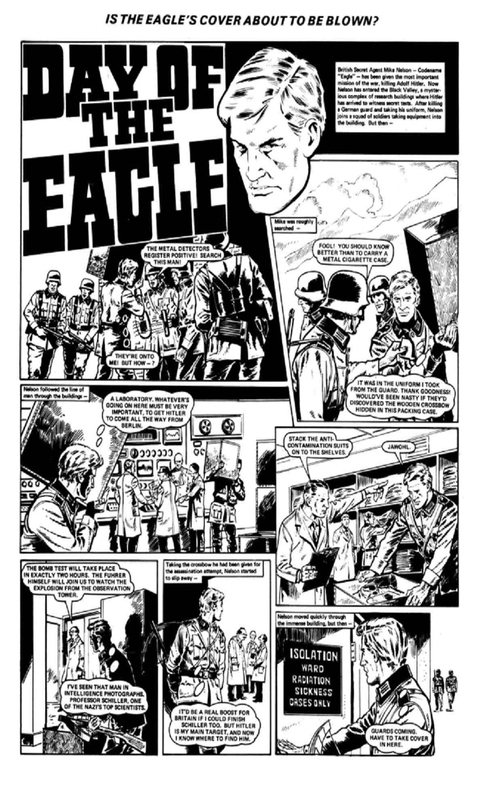 1) - Codename: Eagle - 3 pages (2 color and 1 black & white). 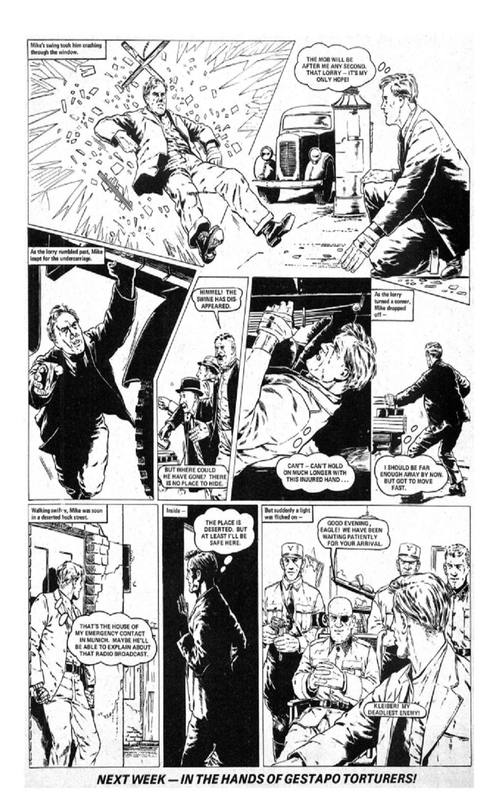 Meet Mike Nelson - Britain's Deadliest Secret Agent! 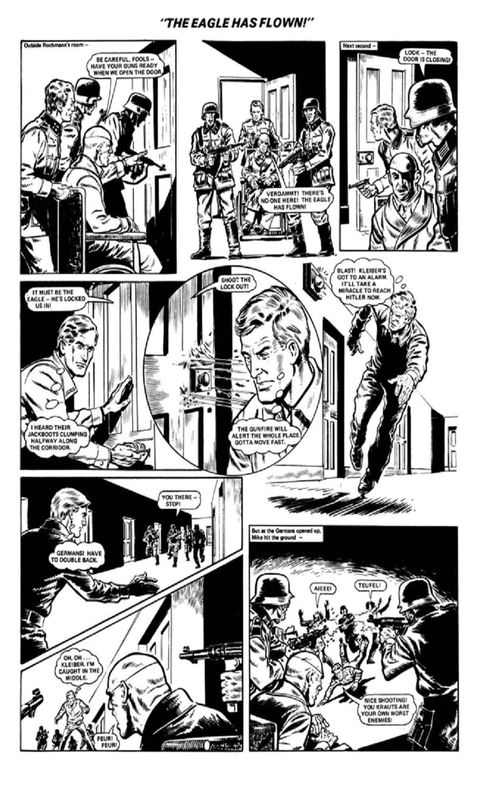 Nelson steal plans from Germans in Normandy and returns to London. 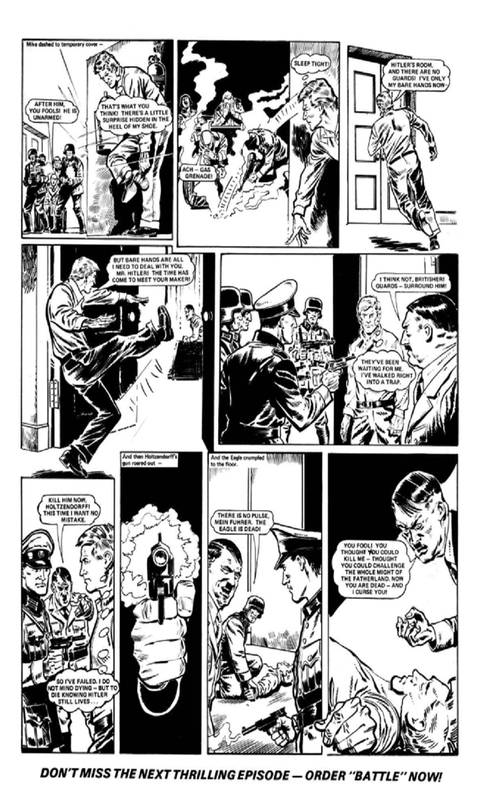 There he gets his new mission to kill Hitler! Episode 1-2 (No. 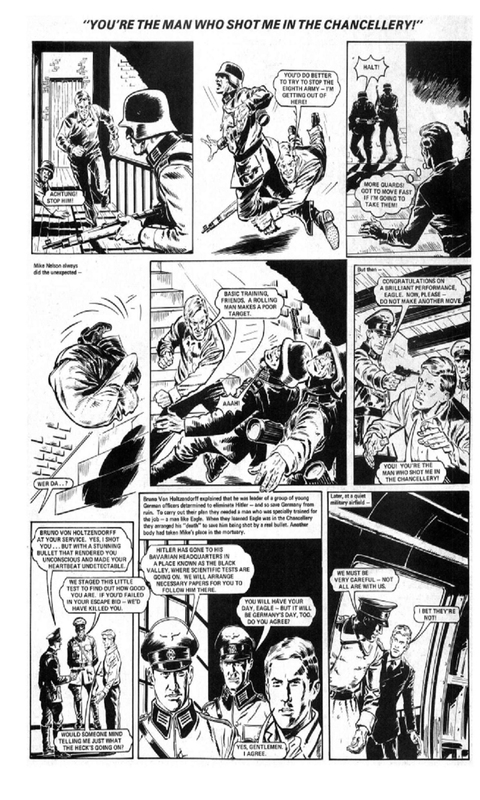 2) - The Gestapo Trap - 4 black & white pages. 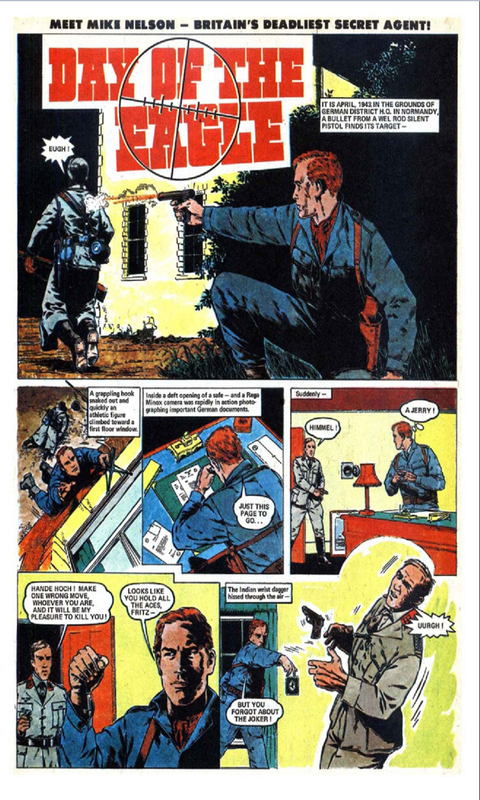 Agent Mike Nelson - With The War's Most Important Mission! 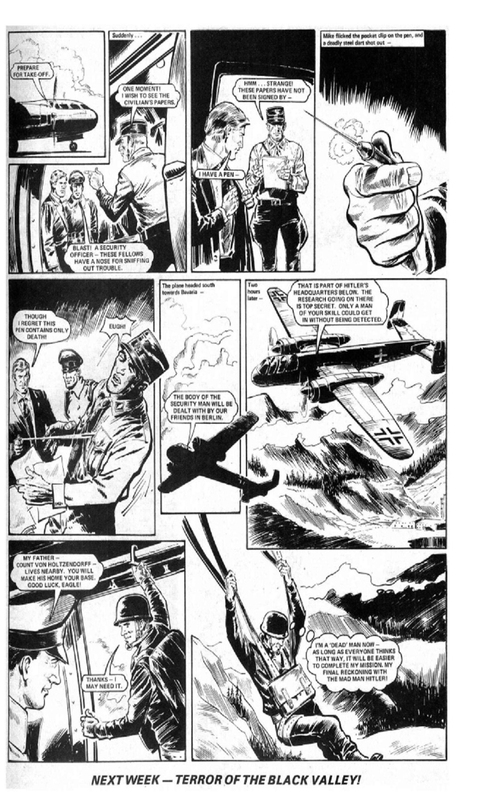 Nelson is flown to occupied France and dropped. 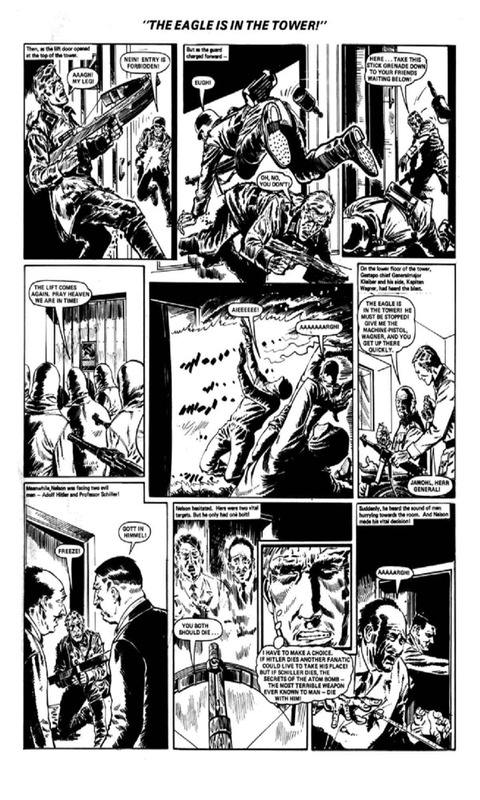 French Resistance helps him and he boards a train to Munich. 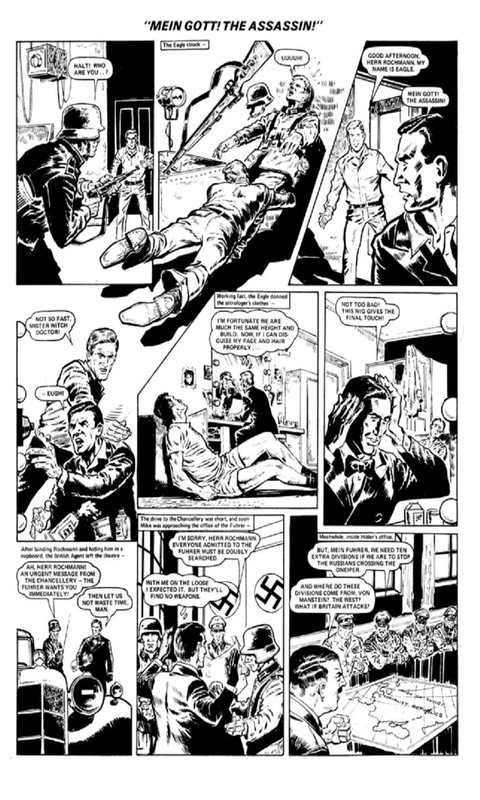 Yet another agent at Gestapo headquarter cracks and tells all. Will the Eagle make it to Munich aboard the train or get caught? Episode 1-3 (No. 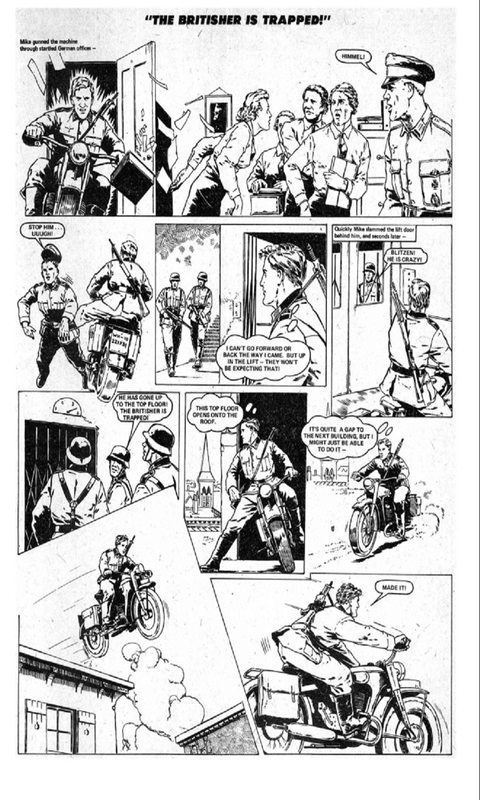 3) - Evading The Germans - 3 black & white pages. The German Close In - Can Mike Nelson Break Out? 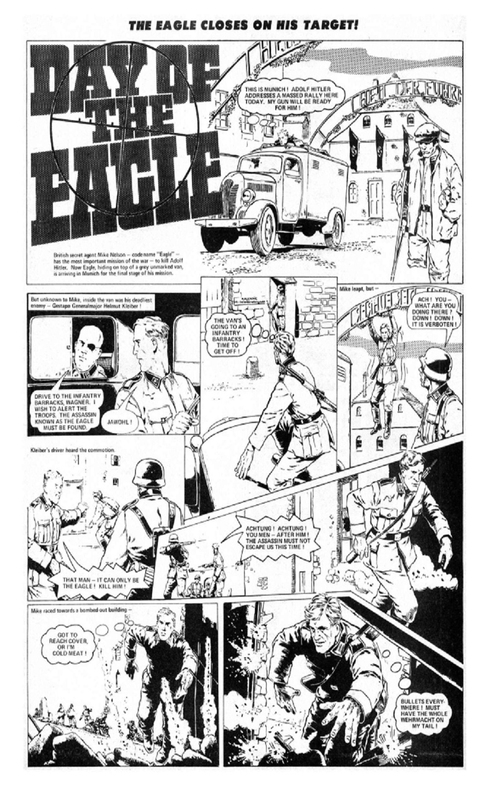 Mike Nelson (The Eagle) has to avoid the German that are after him and try to find a way to Munich fast. Episode 1-4 (No. 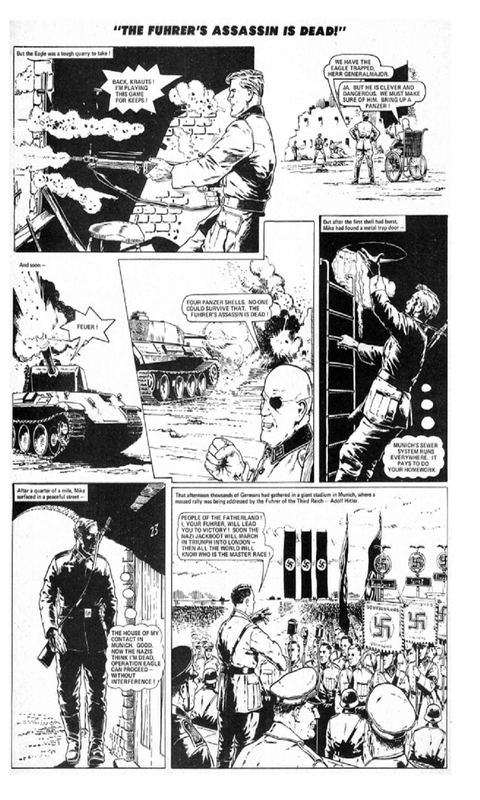 4) - Target Adolf Hitler! - 3 black & white pages. 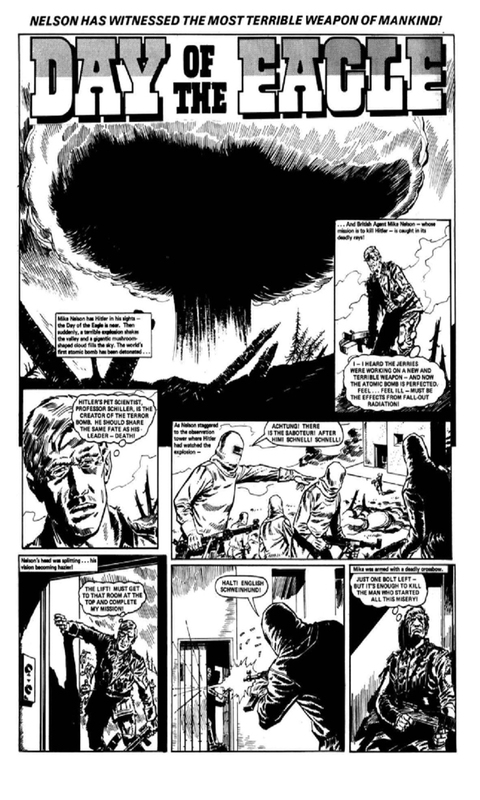 Will Mike Nelson complete the most vital mission of the war? The Eagle Closes On His Target! 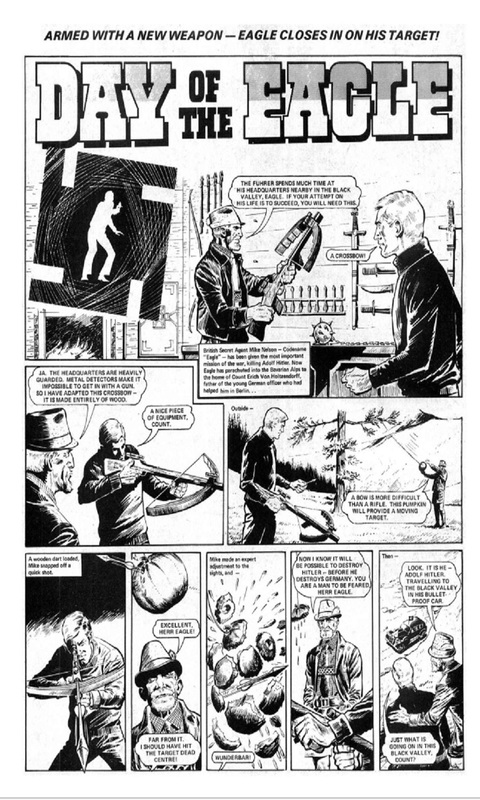 Has Kleiber clipped the wings of The Eagle or will he finally put a bullet in Hitler? The suspense and mystery deepens! Episode 1-5 (No. 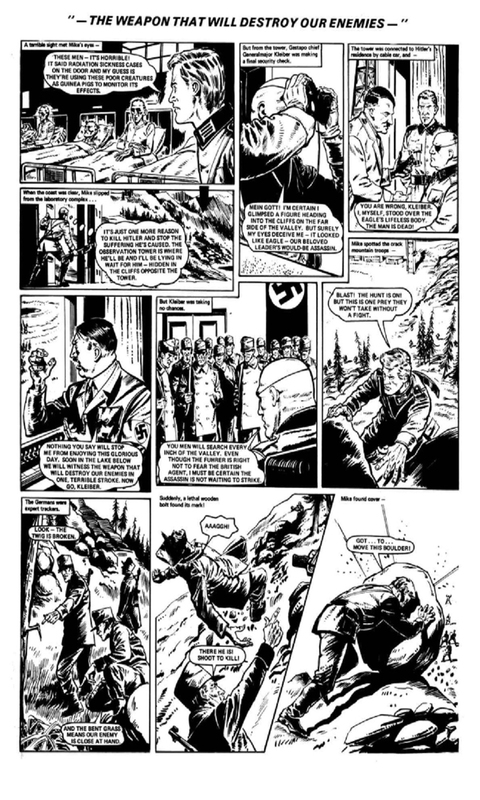 5) - Is The Fuhrer Dead? - 3 black & white pages. 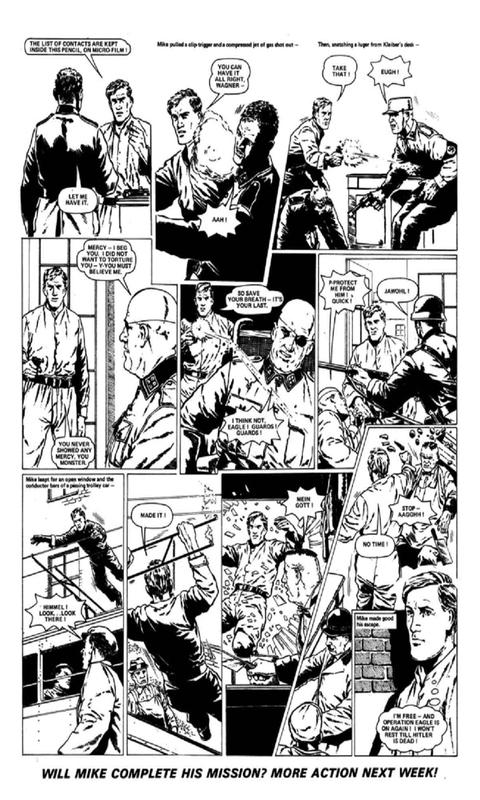 The Assassin Has Struck - But There's A Shock In Store! The Eagle Has Challenged The Very Might Of Germany! 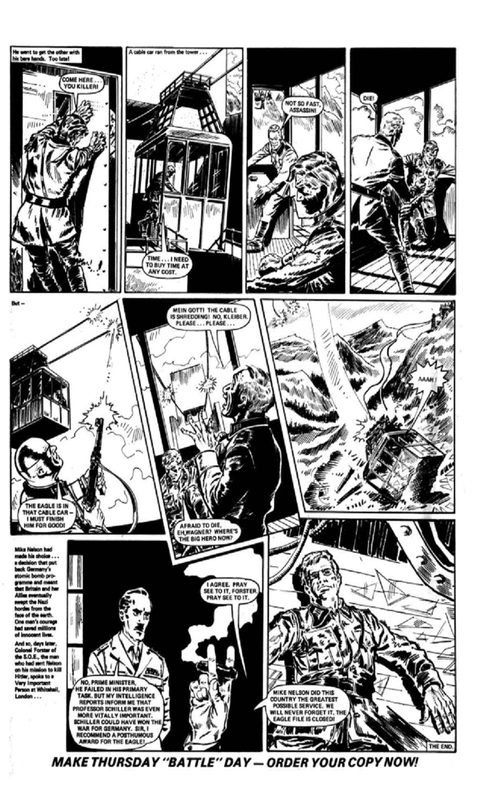 Mike Nelson thinks he has killed Hitler, but a double has been used and The Eagle must still carry out his mission and escape if he can. Episode 1-6 (No. 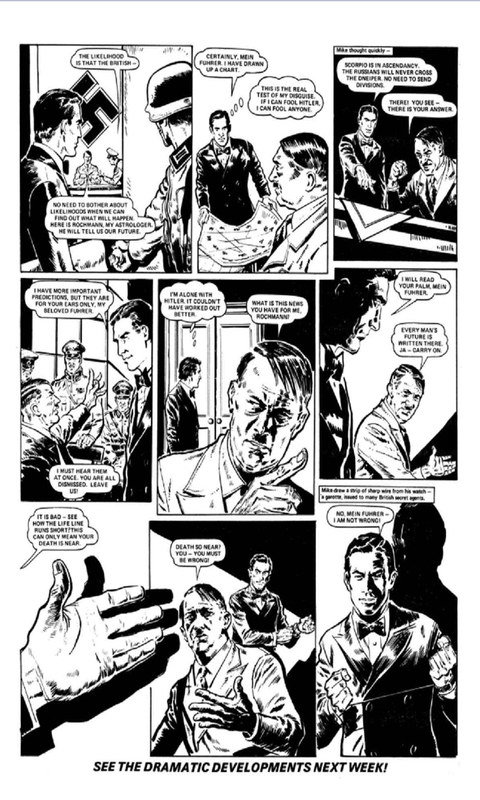 6) - In Gestapo Hands - 3 black & white pages. 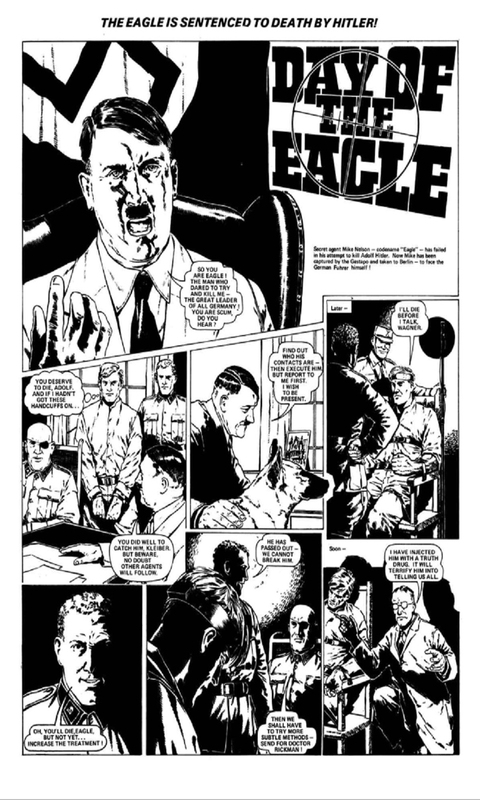 The Eagle Is sentenced to death by Hitler! Mike Nelson (The Eagle) has been caught and will face death in Berlin. If he can get away, he still must carry-out the mission given him. Episode 1-7 (No. 7) - Have You Seen This Man? - 3 black & white pages. 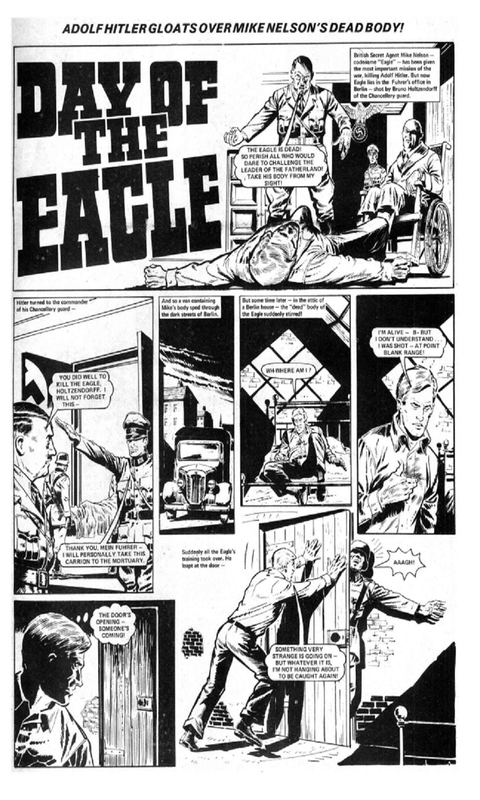 The Gestapo Manhunt Closes In On The "Eagle"! 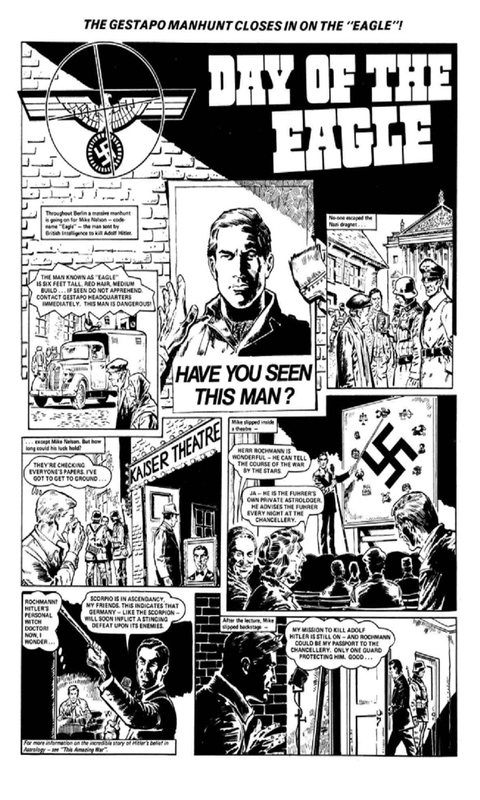 Nelson escaped and now the Gestapo are after him again. Can he eluded them to finish him mission and is it foretold in the star? Episode 1-8 (No. 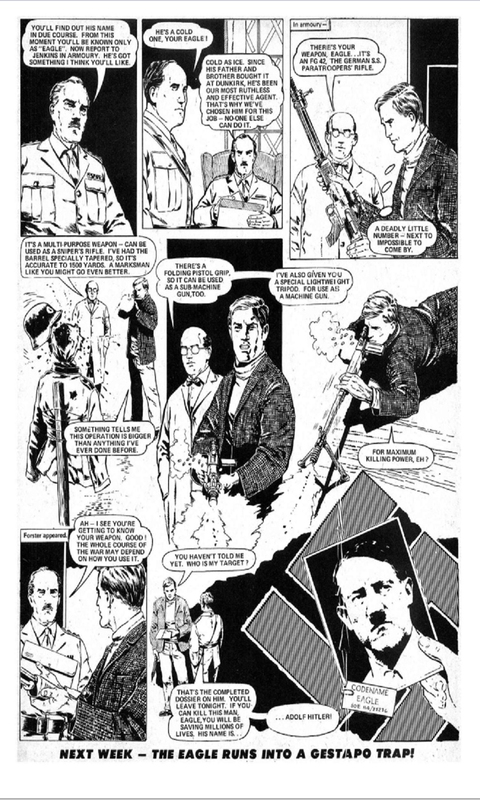 8) - A Second Chance At Hitler - 3 black & white pages. 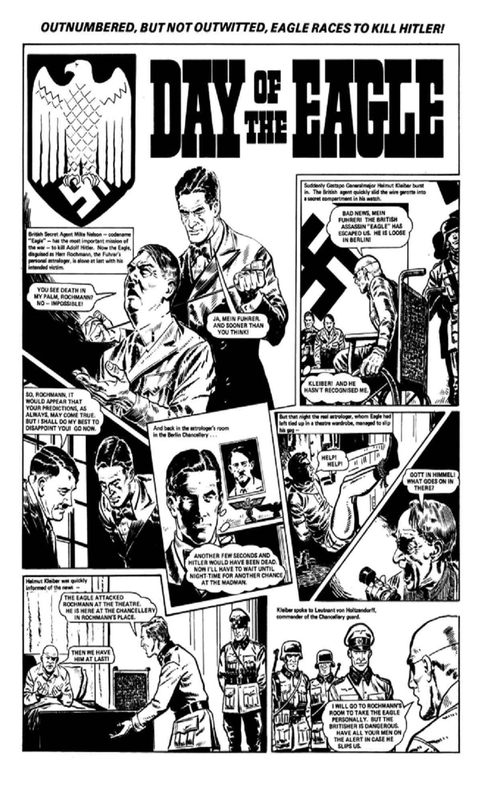 Mike Nelson has fooled Hitler into believing he is his Astrologer. 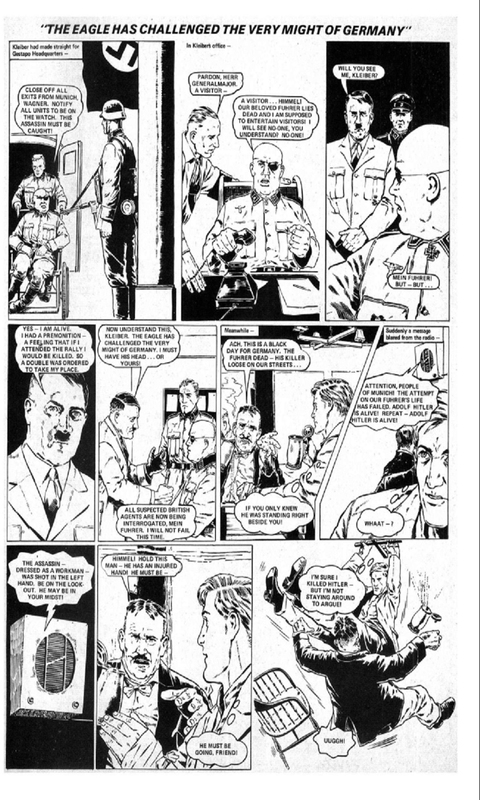 Can he kill the Fuhrer? But, the Gestapo is still after him. Will he be caught by them again or die? Is this the end of The Eagle? Episode 1-9 (No. 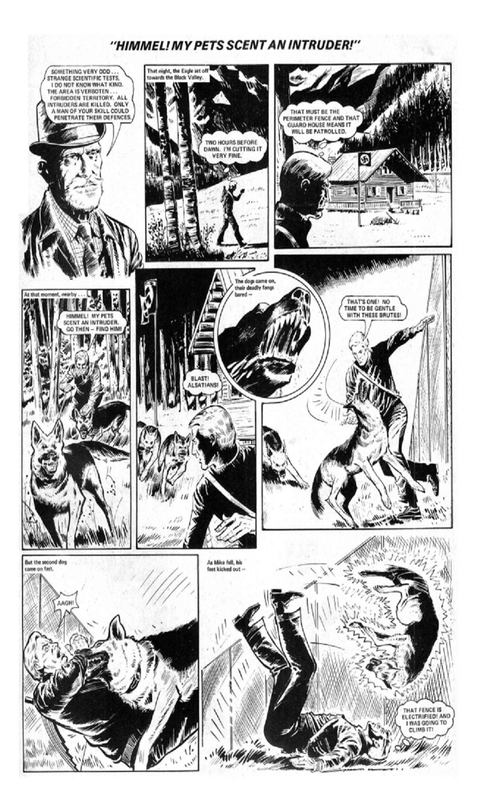 9) - Is The Eagle Dead? - 3 black & white pages. 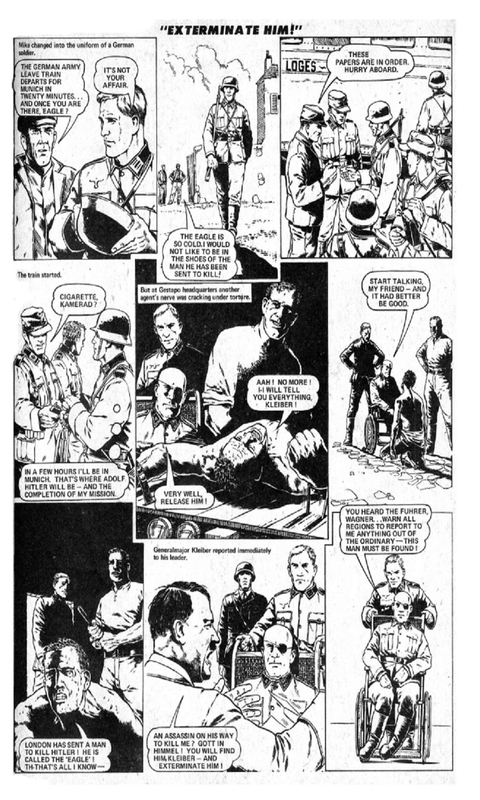 Adolf Hitler Gloats Over Mike Nelson's Dead Body! Nelson is believed dead by all. But is he? 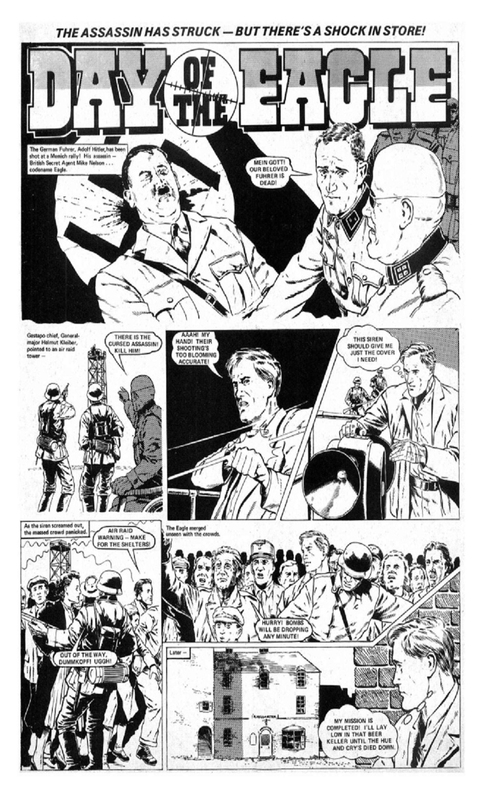 No and his mission to kill Hitler goes on. Episode 1-10 (No.10) - New Weapon, Another Chance! - 3 black & white pages. Armed With A New Weapon - Eagle Closes in On His Target! 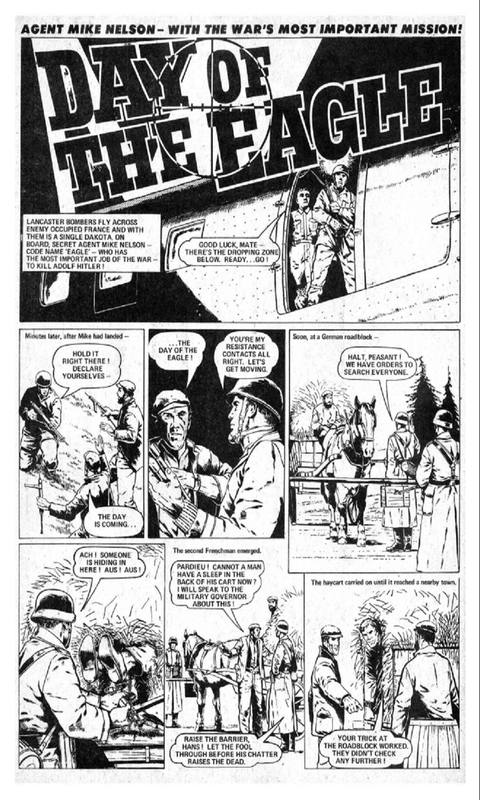 Nelson is again hunting Hitler, but now it's in the Black Valley of Bavaria. Something is going on there! But what? Will Nelson get caught yet again? 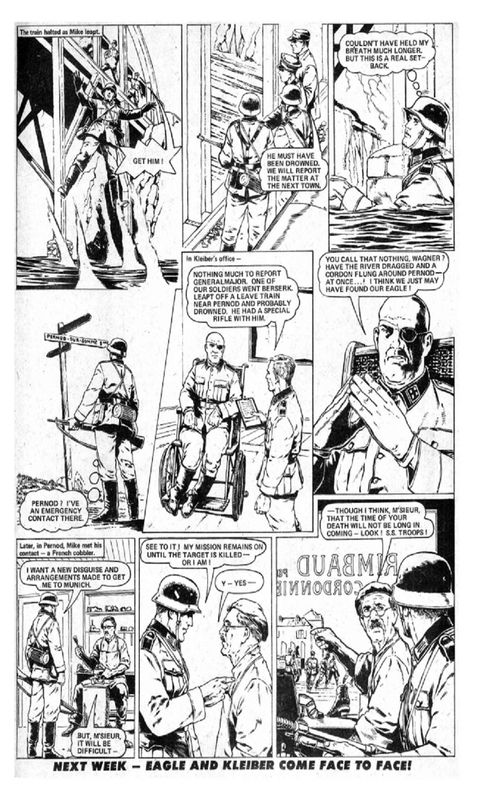 Episode 1-11 (No.11) - Hitler And The Bomb - 3 black & white pages. Is The Eagle's Cover About To Be Blown? 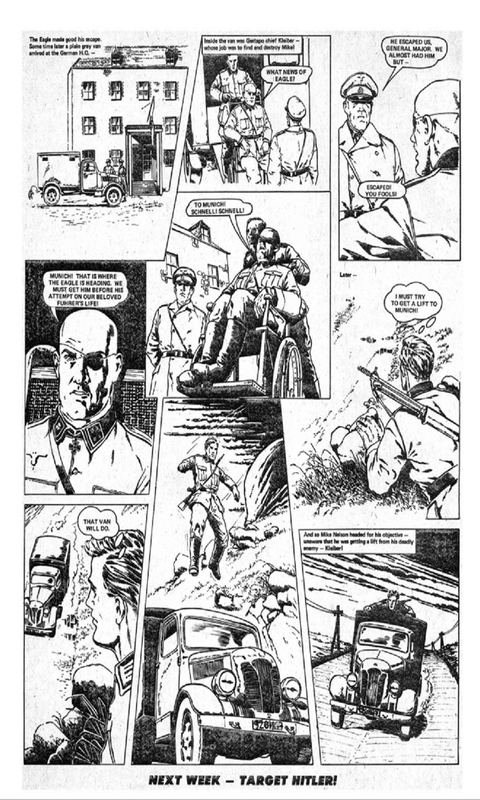 Mike Nelson (The Eagle) has enter the German testing area and readies himself to kill Hitler. 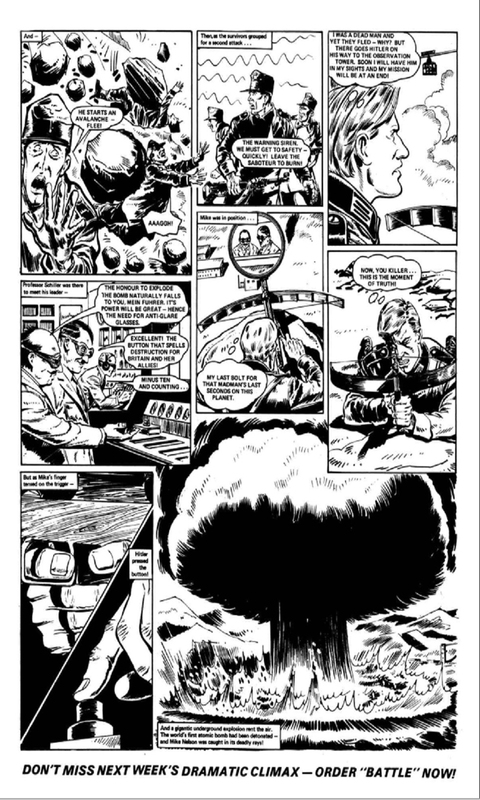 But, there's a great atomic blast. Has Nelson died in the fallout? Not a chance, but radiation is not a good for anyone. 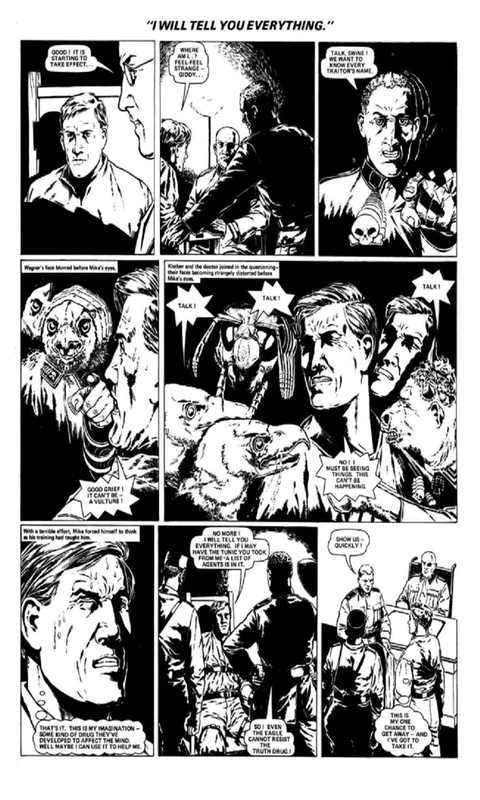 Episode 1-12 (No.12) - Between Two Evils - 3 black & white pages. Nelson Has Witnessed The Most Terrible Weapon Of Mankind! 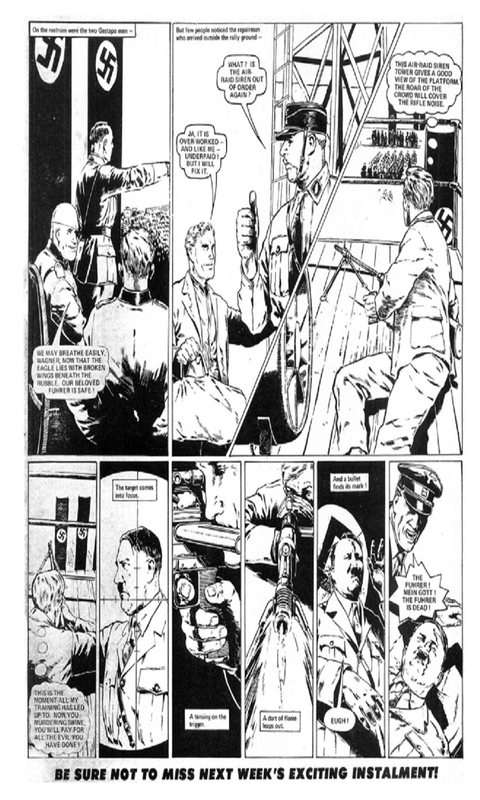 The Eagle must choose to kill Hitler or the scientist that could help the Germans win the war. Conclusion - Hitler is still alive though German atomic program is stalled. But, has Nelson truly died? 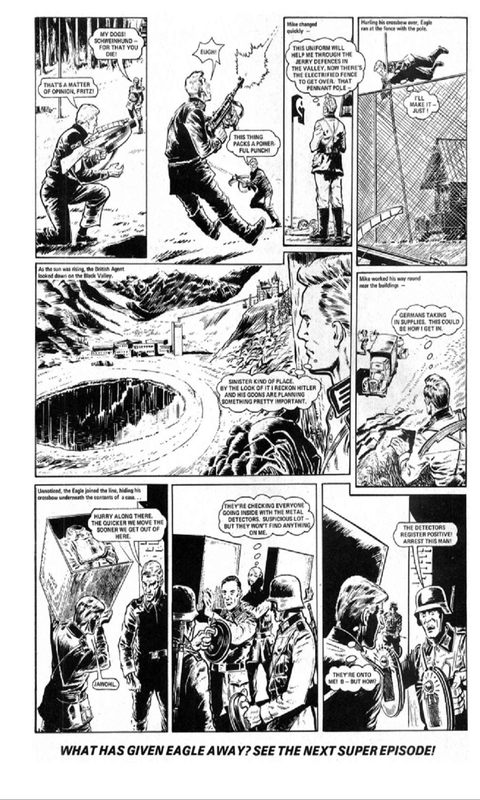 This comic story ends with a total of 37 pages, enough for a whole comic book if it had been printed as such. 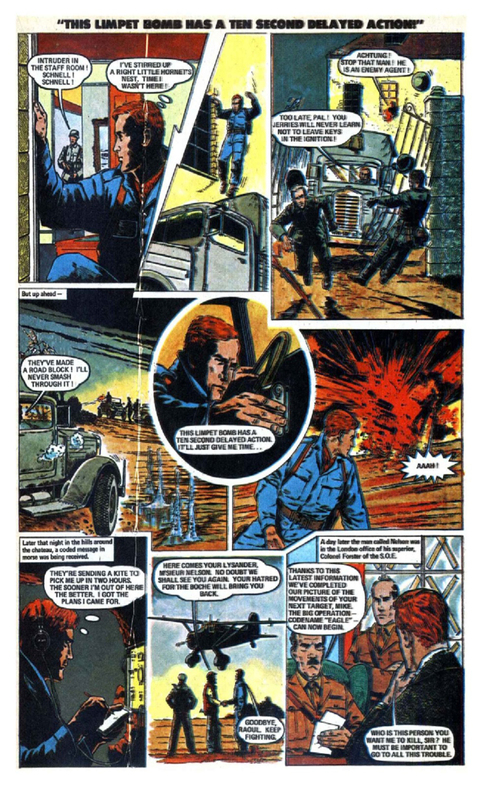 Note: This comic story was reprinted in the Battle Picture Weekly Annual 1980 some 5 years after its first printings. This time it was abridged to 24 pages and put into only 2 parts.